I’m an SAP guy—always have and most likely always will be. It’s been an adventure hacking and implementing their software across a multitude of great companies. I’ve seen SAP transform from a closed company with little innovation to a company where developers thrive and innovation is a cornerstone of future thinking. Where until a couple of years ago there was no true platform to build innovations on, today there is, and she is called HANA. After stumbling upon Estimote Beacons, I’m convinced that SAP HANA and Estimote are a match made in heaven. First, what is SAP HANA? HANA (“High-Performance Analytic Appliance”) is an in-memory,column-oriented, relational database management system. HANA has a built-in web server (XS engine) which can turn any table into a RESTful service with only a few lines of code. Therefore, exposing data to the outside world in a unified way (JSON/XML) becomes a piece of cake. Also, HTML5 applications (in the SAP world referred to as UI5) can be created on the HANA platform itself and act as a thin client between the database and its (mobile) user. It was little over a year ago when I laid eyes on Estimote Beacons for the first time. They bridge the gap between physical data-rich spaces and our day-to-day interactions within them. Beacons are the mechanism to glean this intelligence and HANA provided a place to store and process it. Here is an example of an innovation my team and I built combining these two technologies. The healthcare space is another area ripe for innovation. We built an app which can identify patient data when and where medical professionals need them: again with HANA working under the hood, and Estimote Beacons providing proximity features. 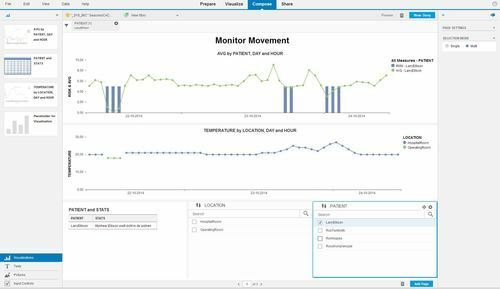 When the patient is in vicinity of a beacon, her records are pulled from SAP HANA and doctors can add new information to the database with a push of a button. Since every patient is assigned a unique beacon, incorrect patient identification and records are no longer a problem. 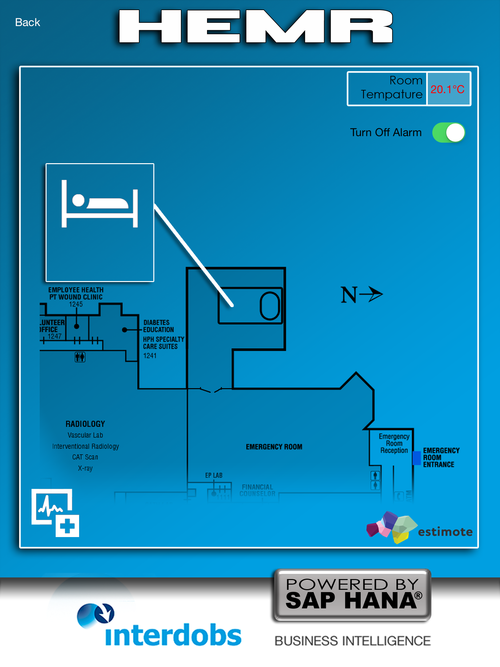 We can also keep track of our patients’ location by using Estimote Indoor Location software. Imagine patients wandering the hospital—now we can find them easily using the SDK’s mapping capabilities. Estimote recently activated accelerometer and temperature sensors in their beacons. This opens up opportunities to extrapolate events in the hospital environment. 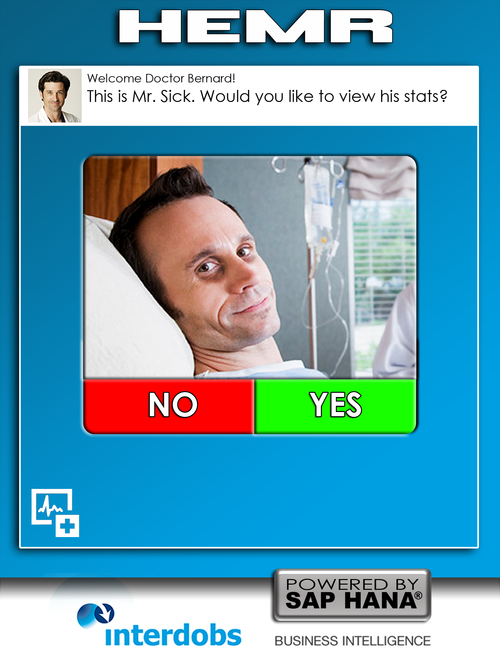 With the HEMR app for example, we can measure patient movement and correlate it to ailments like bed sores. Also, the warmer the room, the less the patient is likely to move, increasing the risk of severe injuries: this is where the thermometer that’s built into beacons comes in handy. Lastly, we can also track abnormal patient movement: if a patient falls, an alarm will sound. The following YouTube video runs through these use cases and provides a deep dive into the analytics of Estimote/HANA data. I hop the HEMR app has showcased the innovative solutions that can come out of combining Estimote and SAP HANA. You can get started by downloading the Estimote SDK and by using the HANA Cloud Platform.